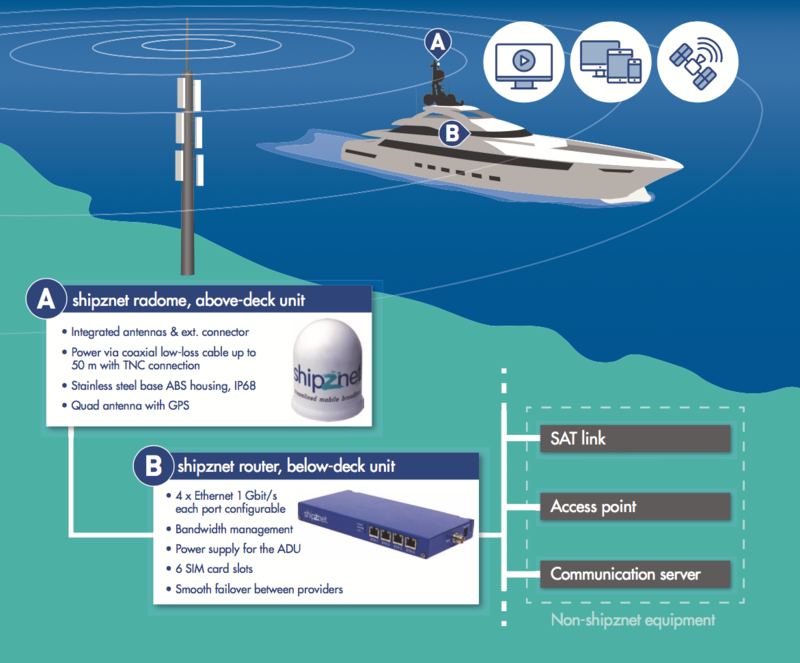 Reliable high-end connectivity and tremendous speed combined with immense data contingents are the minimum requirements in yachting today. shipznet offers cutting edge mobile network connectivity through its industry-approved maritime products to enjoy high demanding applications such as video streaming or online gaming. Business and private communication are protected through IT security provisions such as firewalls and VPNs. The new outstanding, handy-sized radome antenna integrates smoothly on any antenna deck and our professional team assists in more complex setups.